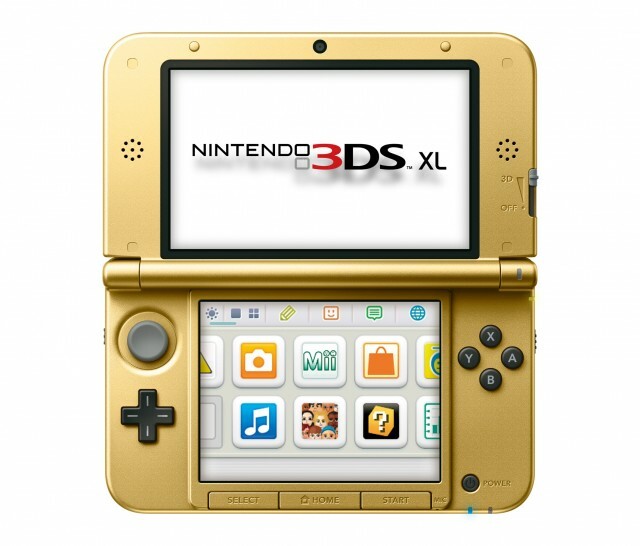 It seems that even us Aussies will be able to indulge in some Zelda goodness as it has been announced by Nintendo Australia that the special gold and black Zelda 3DS XL will be launching in the nation on November 23rd. This stunning limited edition 3DS XL features the triforces from the light and dark world on the top and bottom of the console and will be bundled with a digital copy of Link’s upcoming new handheld adventure, A Link Between Worlds. This amazing limited edition A Link Between Worlds 3DS XL bundle will price at AUS$269.95 and will be available exclusively from EB Games. 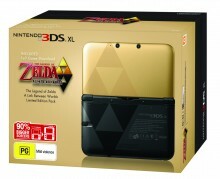 You can read the full press release concerning the Zelda 3DS XL bundle from Nintendo Australia after the jump! “17th October 2013 – The month of November is set to be an exciting one for Nintendo fans, with the announcement of a Nintendo 3DS XL console inspired by The Legend of Zelda series. Launching the same day as The Legend of Zelda: A Link Between Worlds, the new addition is ideal for enjoying Link’s new adventure on 23rd November 2013 at a SRP AU$269.95 and available exclusively through EB Games. With a download code for the game included with this Limited Edition hardware purchase, fans will be able to download the game directly from Nintendo eShop to begin their adventure. For any Zelda fan, the console is instantly recognisable, with the top shell and the inside of the console decked out in an iconic gold colour, and the bottom shell all black, with a Triforce logo emblazoned across each side. When the console is opened therefore, the double Triforce logo of the game is formed! It’s great to see Australia benefiting in this way and I’m sure this bundle will be a hit throughout the nation. Now, we need to hope that North America announces the identical or similar bundle otherwise Nintendo of America is set for a load of backlash. Are you excited to see this A Link Between Worlds bundle releasing to celebrate the Zelda series? Will you be buying this special edition 3DS XL at launch? Are you excited for A Link Between Worlds? As always, the comments section is ready for your valuable input and opinions!